18 March 2019 – The 2019 edition of Cosmoprof Worldwide Bologna has come to the end. The event continues to grow, and the results confirm that it is a landmark event exhibition the entire beauty industry. “Cosmoprof Worldwide Bologna 2019 has achieved an important goal, with over 265,000 cosmetic beauty professionals, and an increase in visitors from abroad by 10% – says Gianpiero Calzolari, President of BolognaFiere – These data, together with the record of exhibitors – 3,033 companies from over 70 countries – makes us proud of the results, and they give us the energy to face new projects. 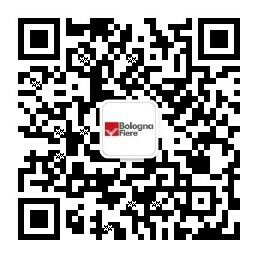 From Bologna, Cosmoprof Worldwide Bologna is ready to reach the whole world, with trade events on all continents. Together with Asia, North America and India, the collaborations in the markets of South America and South East Asia, and after the growth in Europe thanks to the acquisition of the German group Health & Beauty, we are now ready to explore new territories. All these projects are being put into reality thanks to the support of the Ministry of Economic Development, ITA – Italian Trade Agency, and our partner Cosmetica Italia – The Italian Trade Agency. For 2020, new projects are being defined both in Asia and in Africa. The Cosmoprof platform is going to become more and more international, to better fulfill the needs of companies in the sector”. “The associated companies attending the event have recorded a significant increase in the quality of contacts with sector operators – says Renato Ancorotti, president of Cosmetica Italia – As a consequence, companies have promoted a targeted offer of products and services. The quality and competitiveness of the Italian cosmetic industry on international markets are therefore confirmed again. Not surprisingly, exports, up 3.6% to a value of 4,800 million euros, continue to support revenues, which exceed 11.2 billion euros, up 2.1%. These data support the positive figures of the fair declared by our historic partner BolognaFiere Cosmoprof: together we will continue to promote made in Italy cosmetics in the world”. Factory project, the contents expressed during Cosmotalks and installations with sustainable materials highlighted the attention that the event gave to environmental issues. The attendance of the more than 30 talks scheduled at the Service Center and the interest arisen by the special areas dedicated to green beauty well represent the choice shared by professionals and companies in the sector. For further information, visit www.cosmoprof.com.